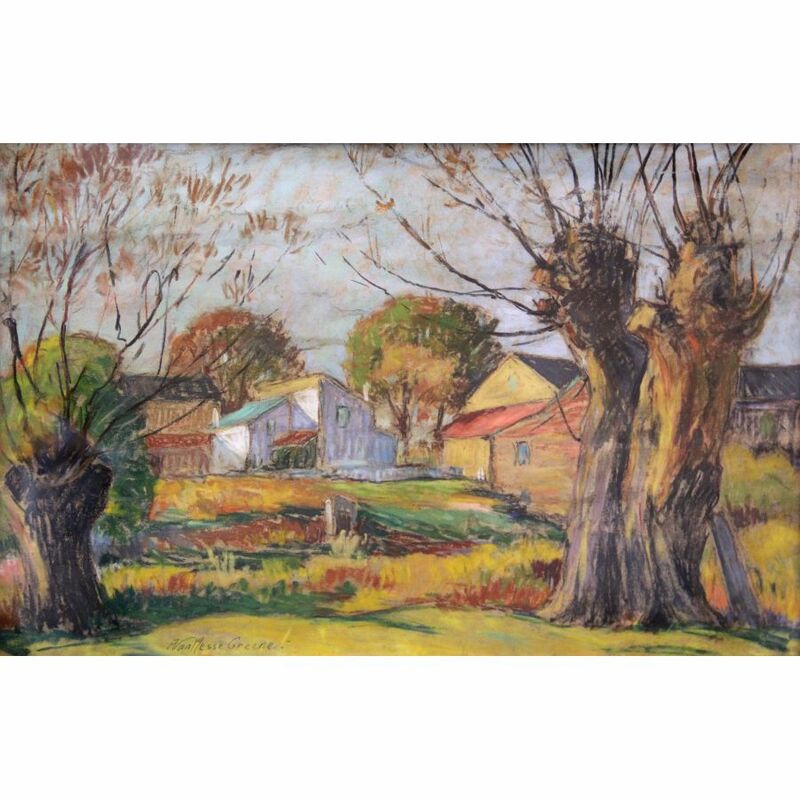 Born in Jamaica, New York in 1887, Albert Van Nesse Green had a long and thorough art education. He studied at the Corcoran Gallery of Art, Washington, DC; The Art Students League, New York; the Pennsylvania Academy of the Fine Arts, Philadelphia; and in Paris at the Academie de la Grande Chaumiere. 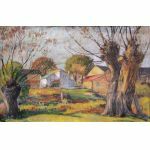 He lived in Chester County and painted many landscapes there, as well as in nearby Bucks County. His paintings were exhibited extensively in the United States and France. Examples of his work can be found in the collections of the Pennsylvania Academy of the Fine Arts and the National Gallery of Art among many others. He was a member of the Philadelphia Sketch Club, Society of Independent Artists, and the Yellow Springs Artists Association in Chester County. He exhibited with the Society of Washington Artists, the Pennsylvania Academy, and the Salons of America.